Bandai has become the leading toy company of Japan. The company holds many popular toy licenses in Japan, including Godzilla, Ultraman, Kamen Rider, the Super Sentai series (which they took part in creating), Gundam, and many others. Bandai America is the manufacturer and master toy licensee of some of the most popular brands in children's toys and entertainment today, includingPower Rangers, Ben 10, Dragon Ball Z, Digimon, Tamagotchi, and Girlz Connect. € 37,50	Delivery Time 2 a 3 weeks depending on Bandai Distribution, if a certain model is not in stock at Bandai then your order will be refunded. Delivery Time 2 a 3 weeks depending on Bandai Distribution, if a certain model is not in stock at Bandai then your order will be refunded. Zur Anime-Serie ´One Piece´ kommt dieses detailreiche Plastic Model Kit aus der ´Grand Ship Collection´ Reihe. Das fertig bemalte Model ist ca. 30 cm lang und wird mit Base geliefert. Zur Anime-Serie ´One Piece´ kommt dieses detailreiche Plastic Model Kit. Das fertig bemalte Model ist ca. 10 cm lang und wird mit Base geliefert. 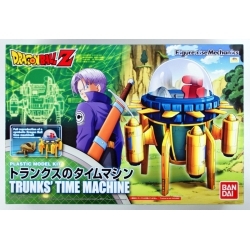 From the popular Manga & Anime series 'Dragon Ball' comes this great little model kit. No glue or paint required. From the popular series 'Kamen Rider' comes this great little model kit. No glue or paint required. 1 boosterpack with 12 cards from the popular cardgame.